Luoyang was the capital of China for 13 dynasties, since the prehistoric Xia Dynasty. It is one of China's four ancient capitals, which are Xian, Nanjing, Beijing, and Luoyang. Luoyang was the capital of the Western Jin Dyansty 266-316AD. 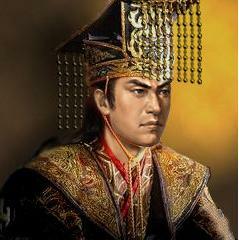 Western Jin had over 2000 feudal princes. Eight princes had a civil war among themselves, which triggered an invasion by northern barbarians. Barbarian defined as any alien to the Han or China Proper way. 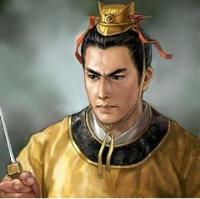 In this case, Xian Bei emperor Wei Xiao Wen Di is considered an alien emperor to China as the history literature. The capital Luoyang was taken over by five large tribes and 16 small countries (Five Aliens tribes and 16 countries era), so the capital was forced to relocate to Nanjing on the South of the Yangtze River. This effectively split China into two parts, the Northern Dynasty and the Southern Dynasty with Nanjing as its capital. Large migration of artifacts and prints of ancient tablets were carried by scholars as preservation efforts. So the north and the south being separated for several hundreds years until Sui dynasty (581-619 AD) unified China. In 376-383AD, There was an attempt by the north to conquer the south with 800,000 troops to cross the Yangtze river to take over the Southern Dynasty. This was thwarted by Prime Minister Xie Xuan in the Fei Shui Battle. Even though 870,000 were mobilized, the decisive battle number was 150,000 troops from the North versus 70,000 from the South. Eastern Jin completely defeated the North, and secured the border for several hundred years, until Sui Dynasty unified China. When the Tang Dynasty 618-907AD rose to power, it re-established Luoyang as the capital for all of China by Empress Wu 624-705AD, as opposed to 493 AD when Luoyang was only the capital of the North part of China. The last time Luoyang was the capital was Hou Jin (936-947 AD), after the Tang Dynasty. Nanjing is famed as the six dynasties center of civilization (Three Kingdom's Wu country, East Jin, Soong, Qi, Liang, Chen). Later on Nanjing was the capital for Southern Tang, Ming, Taiping, and ROC Republic of China, so altogether Nanjing was the capital ten times. We may temporarily forget about Luoyang, such as during the insanity of the Cultural Revolution, but Luoyang and her splendid culture will always be an eternal beautiful source of spring for our aspiration. 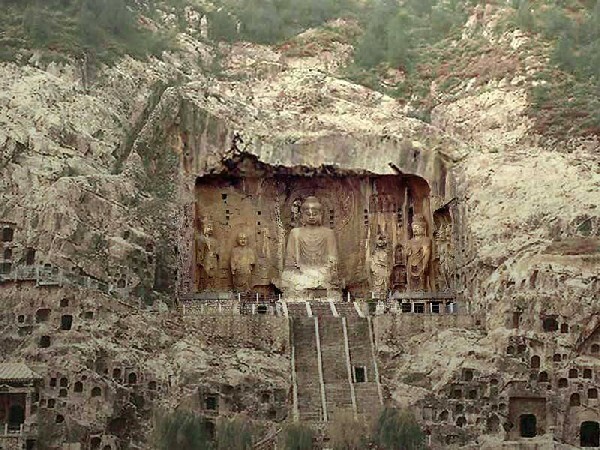 For Luoyang had the lustre of great minds, and their creativity steered us in the darkest ages. In the Shui Jing Zhu, Book of the Rivers, written in the Northern Wei Dynasty, it states that the Yi River flows between two hills facing each other, Longmen Grotto Hill (Literally Dragon Gate) and Xiangshan (Fragrance Mountain). 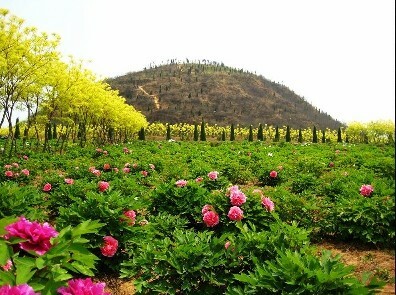 Da Yu of Xia Dynasty widened the Yi River path. 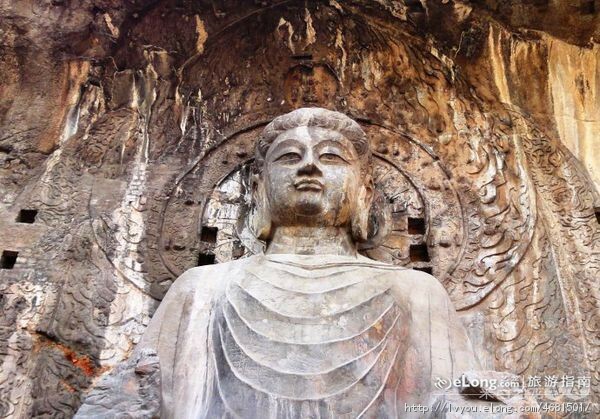 In 493 AD, when Northern Dynasty's Wei Xiao Wen Di emperor (467-499 AD) relocated the capital from Datong to Luoyang, he started to commission the construction of the Luoyang Longmen Grotto. Bai Ju Yi (772-846 AD) was governor of Suzhou and Hangzhou. 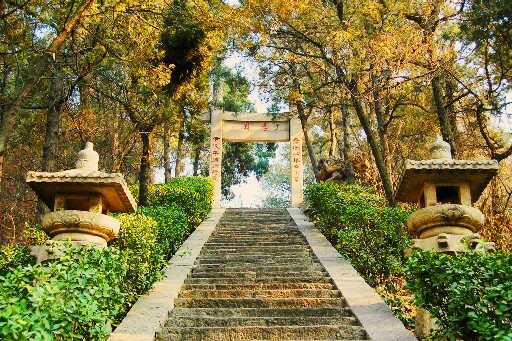 Fragrance Hill is where Tang's governor, poet, and musician, Bai Ju Yi, is buried. Bai's works were highly influential in the historical development of Japanese literature. From the Longmen grotto hill, Empress Wu Tze Tien is smiling down on China proper land. She ruled China as the only female executive emperor. From an ink girl who assisted the emperor as a maid, she willed herself to become the empress. Although the path to the throne was Machiavellian, she proved that women can exert influence in China. This video shows Kyoto City, but since Kyoto was a copy of Luoyang, this may be what Luoyang was during the Tang Dynasty. Kyoto was copied from Luoyang during 7th and 8th century, based on Tang's architecture, and even kept the same names for streets and different sections of the city. Kyoto still keeps the geographic names from Luoyang, like LuoSouth, LuoNorth, LuoMiddle, LuoEast, LuoWest. Beijing's Forbidden City was built in the Ming Dynasty in 1418, and is a replica of the Nanjing palace. When I visited Luoyang, I was touched to be in the location of China's historical capital. So many years have passed that there are not many historical sites to be seen, but those that remain such as Longmen Grotto and White Horse Temple are classic treasures of Chinese culture that inspire us to study more about the past.